I used to be all for buying teenagers total crap-heaps as their first cars. It builds character, after all. But then I watched this video of a 1998 Toyota Corolla crashing into a 2015 model, and now I think I’ve changed my mind. At the fourth United Nations’ Global Road Safety Week last week, Australia and New Zealand’s safety advocate—the Australasian New Car Assessment Program, or ANCAP—sent two Toyota Corollas jousting against one another in a 40 mph partial-overlap crash test. One car was a 2015 model, and the other was from 1998; the former, unsurprisingly, ate the latter for lunch. The point of the test, ANCAP says, was to highlight just how much of a difference new vehicle safety technology makes in preventing car crash injuries. We’ve already seen a number of crash tests like this one pitting older cars against newer ones, but the more the merrier, I suppose. The Australian-market 1998 Corolla, which doesn’t even have airbags (it’s worth noting, driver and passenger airbags became mandatory in the U.S. in 1998) “sustained catastrophic structural failure” and got a zero star rating thanks to a score of 0.40 out of 16. The dummies’ sensors all indicated severe head, chest and leg injuries. The new Corolla’s 12.93 out of 16 points got it a five star rating, and passengers would have made it out just fine. 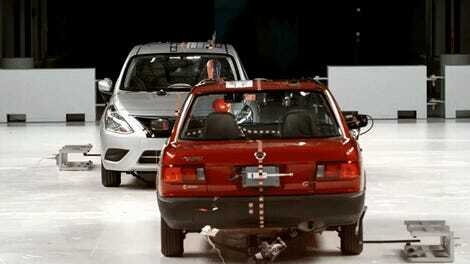 The airbags, as well as the energy-absorbing crash structure, were crucial in keeping the passenger safe. It is unfortunate we tend to see our most at-risk drivers – the young and inexperienced, as well as the elderly and more frail – in the most at-risk vehicles, and we hope this test promotes a conversation to encourage all motorists to consider the safety of their car. 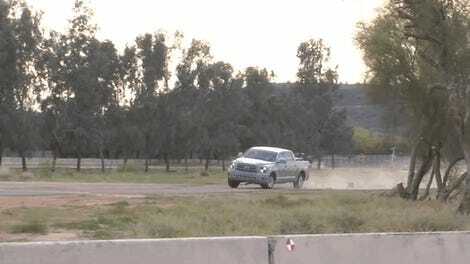 Is It Messed Up That I Find Watching Crash Tests So Satisfying?